Thank you Basic Invite for sponsoring this post. I was compensated in exchange for sharing information about their products, all opinions are my own. When we had our first baby I decided that I wanted to throw my own baby shower because I enjoy planning events and I wanted to make sure that all of our friends were invited and able to come. Looking back I do wish that I had let someone else plan it but I did enjoy the planning process so even though it was a bit unorthodox that I planned my own baby shower, I still had fun. One thing that was important to us was that we wanted the shower to be coed. Our baby belongs to both of us so why shouldn’t we both be at the celebration? 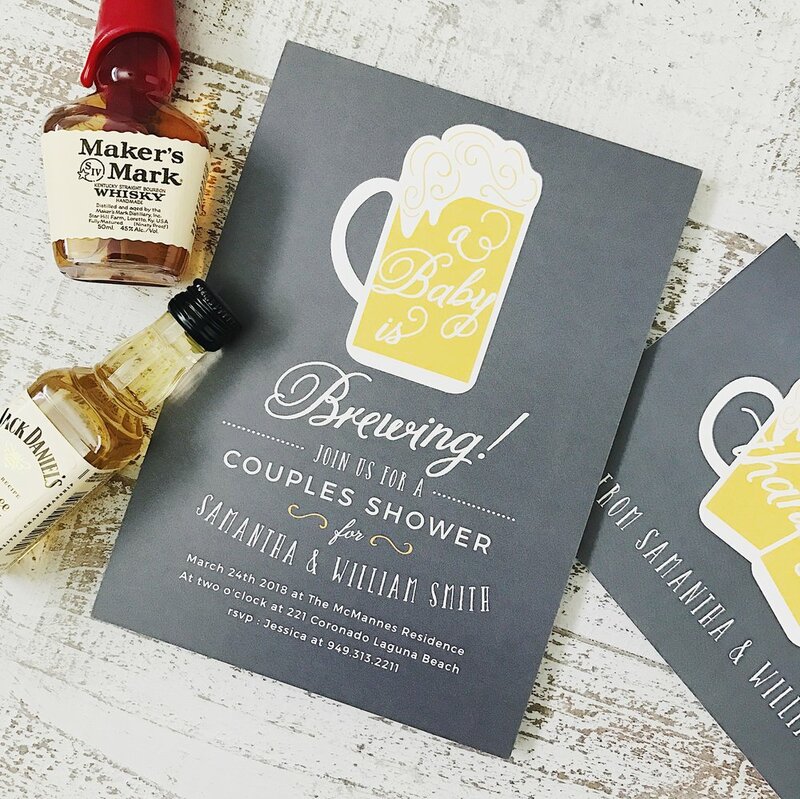 Coed showers are growing in popularity as of late but if you need to convince your parents or grandparents that a coed shower isn’t a crazy idea, here are a few reasons to throw a coed baby shower. I’ve even sprinkled in some baby shower invitation ideas to give you a place to start with your planning. Before we get to the reasons to throw a coed baby shower, here is a little bit about the sponsoring company, Basic Invite. Almost Unlimited Colors - Basic Invite is one of the few websites that allows customers almost unlimited color options with instant previews online. Once you select a design you can change the color of each element on the card to over 180 different color options so you can make sure the card is exactly how you want it, down to the littlest detail. Custom Samples - Basic Invite also allows customers the ability to order a printed sample of their actual invitation so they can see exactly how it will print as well as the paper quality before they ever have to place their final order. I think that’s a pretty cool feature, especially if you’re a perfectionist like me. Over 40 Different Colors of Envelopes - Customers can choose from over 40 different colors when it comes to their envelopes so that they can make their invitation stand out even before it is opened. Address Capturing Service - Basic Invite even offers an address capturing service that allows customers to simply share a link on Facebook, Twitter, Instagram, or any other form of social media to request their friends and family’s addresses which will be stored in the customer’s account and can then be selected during the design process. Um that is AWESOME because I am always losing people’s addresses. Foil - Foil cards are available in gold, silver, and rose gold. Customers can choose flat or raised foil on all of Basic Invite’s foil designs. Add a little shine to your invitation with a foil finish. 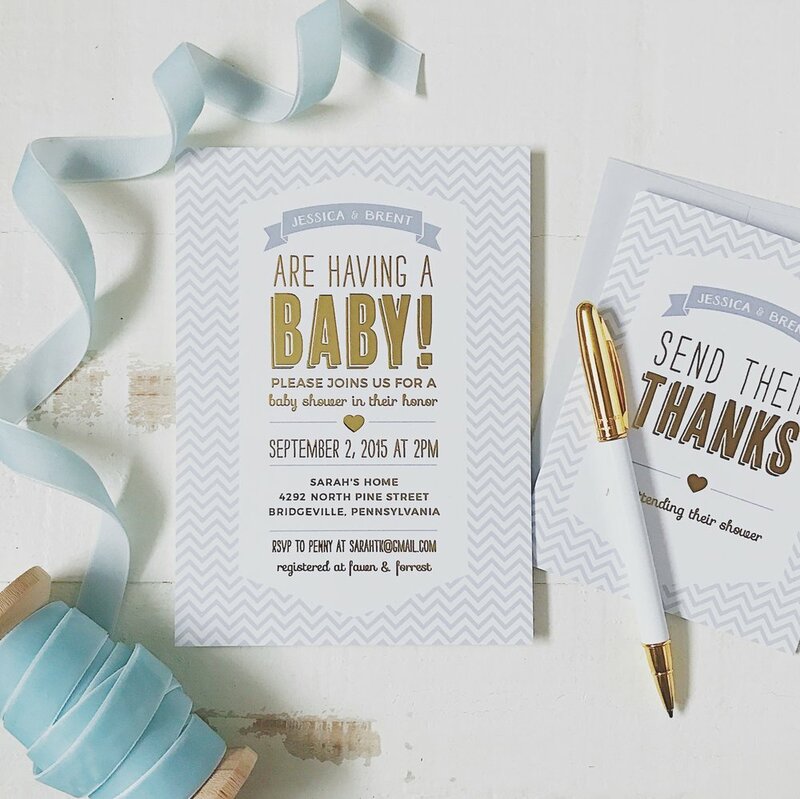 so go grab some coed baby shower invitations! Your husband can be included. Your husband may not be carrying the baby inside of him for so many months and dealing with morning sickness and all of that but he is (hopefully) supporting you through the pregnancy so shouldn’t he get to have a little party too? He also had a part in the baby making process so the baby belongs to him as well. Lastly, you and your husband are one so even though you don’t need to do everything together, it makes sense to do the big things together. All family members (and friends) can be included. My husband and I each have a younger brother and they love their niece and nephews. My brother would have been pretty bummed if he wasn’t allowed to help celebrate the coming of his first nephew. It’s fun! The more the merrier, right? There are also a wider range of themes and games to play at your party if it is coed. There are fun themes. Traditional baby shower themes are fun too but there are also great theme ideas for coed showers! I usually like to start by looking at invitations for theme ideas. 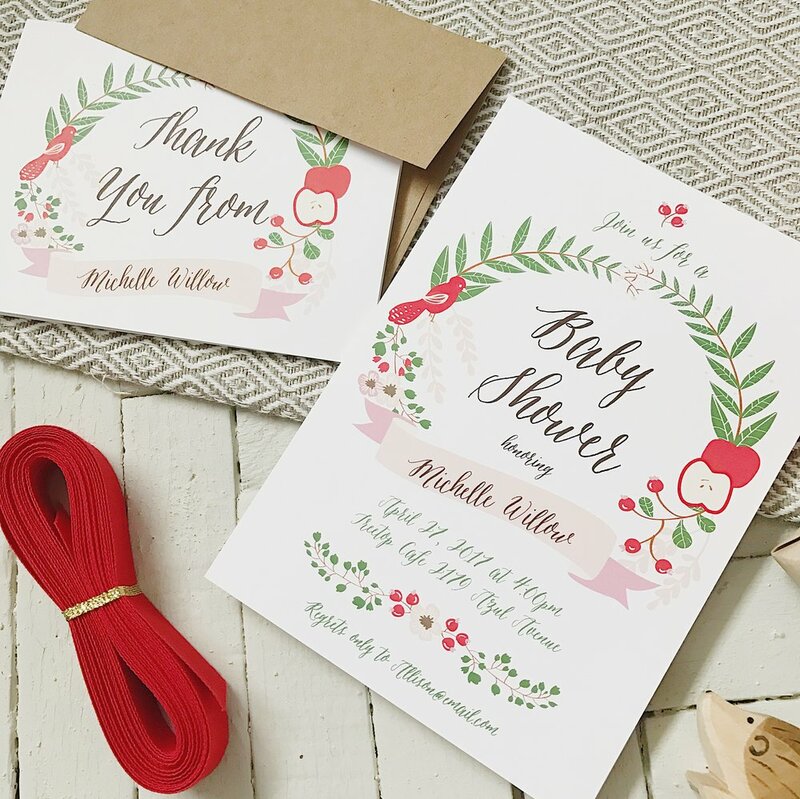 Just about any invitation can be turned into a coed shower invite but if you would like to see invites specific to coed showers, here are baby shower coed invitations from Basic Invite that are super fun. My favorite coed shower invites include the “Baby-Q” invite, the “A Baby is Brewing” invite, and the “We are Having a Baby” invite. You can go very modern with your theme or you can keep it more traditional (like with these woodland creatures baby shower invitations) but either way you can make it coed and tons of fun. I would love to hear from you! Comment below and tell me about your baby shower, was it coed? Did you plan it yourself or did someone else do the planning? Better yet, share a photo on Instagram and tag it with #iamajoyfulhomemaker. And let me know which of the featured invitations is your favorite! Don’t forget to use your discount code 15FF51 for 15% off your order!